In my last post, I reviewed some recent research that suggests one of the best ways to delay the evolution of herbicide resistant weeds is to use mixtures of effective herbicides. 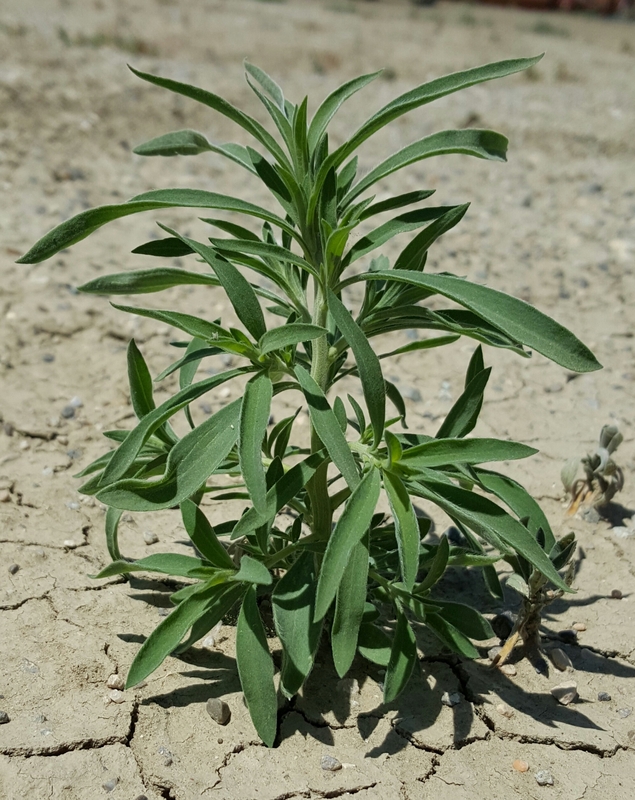 Resistance is initially a very rare trait within a weed species, so the probability that any particular individual plant will be resistant to two herbicides is extremely low. 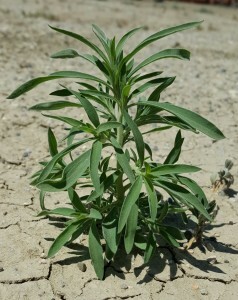 The second herbicide is likely to kill any weeds that are resistant to the first herbicide, and vice versa. The theory behind this practice isn’t new, and has been used in other areas of resistance management for many years. I’ve heard some of my colleagues in weed science lament the fact that farmers are not adopting this relatively simple practice that has been proven effective. But implementing this practice is much easier said than done. When weed scientists study the evolution of herbicide resistance, we typically focus on one herbicide, and one weed species. And often, we use only one or two crops. Somewhat ironically, this simplicity is necessary to study a complex biological system. From a farmer’s perspective, simply adding a second effective herbicide isn’t quite as simple as you might think. In my weed science course every year, my students do an activity that requires them to develop herbicide programs that accomplish the goal of using two herbicide modes of action for resistance management. But instead of focusing on a single crop and a single weed and a single herbicide (as we often do in research), I give the class a more realistic scenario. The group is given a list of seven weeds and four crops. Their job is to develop a proactive herbicide resistance management program that is effective for all of the weeds for each of the four crops. After they figure out a program that meets the efficacy criteria, they calculate the cost per acre of the herbicide program they’ve developed. The results of their efforts over the last five years are summarized in the table below. On average, herbicide programs that can effectively delay the evolution of herbicide resistance cost between $50 and $162 per acre, depending on the crop. Corn and soybean herbicide programs tend to be much less expensive, in part because there are far more herbicides to choose from. Minor crops like dry edible bean and sugarbeet have far fewer herbicide options, and those options are more expensive. Another thing to note is that nearly all of the corn & soybean programs included herbicides with very long soil residual; herbicides like Pursuit (imazethapyr), Authority (sulfentrazone), and atrazine. In a corn-soybean rotation, the soil longevity of these herbicides might not be a problem, but these herbicides prevent planting sugarbeet or dry bean for up to 40 months after the herbicide is sprayed. Herbicides that limit crop rotations make it extremely difficult to employ a truly integrated weed management plan. Because of cost and rotation restrictions, it is difficult to implement a truly effective herbicide program to proactively manage herbicide resistant weeds, especially if the crop rotation includes more than just corn and soybean. If we concede that a multiple mode of action strategy can’t be perfectly effective for all weeds and all crops, I think there are two things we must consider as we develop proactive herbicide resistance management strategies in the future. First, we need to prioritize the weeds and herbicides that most warrant a proactive multiple mode of action approach. I would argue that not all seven weeds in my class exercise would be equally problematic if they were to evolve herbicide resistance. Some of those weeds have much greater impact on crop yields, and have fewer herbicides that are currently effective. The most problematic weeds will differ by region, and possibly even by farm. But if a farmer only targets a few of those high-impact weeds, then the cost of an effective proactive herbicide strategy can be much more reasonable. Second, as I said in my last post: “at some point, we must stop looking to herbicides as the solution to a problem created by herbicides.” If the herbicide doesn’t kill a weed, use something else that will. That might be a herbicide, but it might also be a hoe. We need to include non-herbicide control tactics in our proactive resistance management strategy. The idea of multiple modes of action to kill resistant weeds doesn’t have to be limited to herbicides. Tillage, cover crops, effective rotations, stale seedbed, and even hand-weeding can provide the second effective mode of action for some weeds in some systems. Those practices aren’t free either, but may be more cost-effective than multiple herbicides in many situations. Previous Article Want to reduce herbicide resistance? Spray more herbicides!